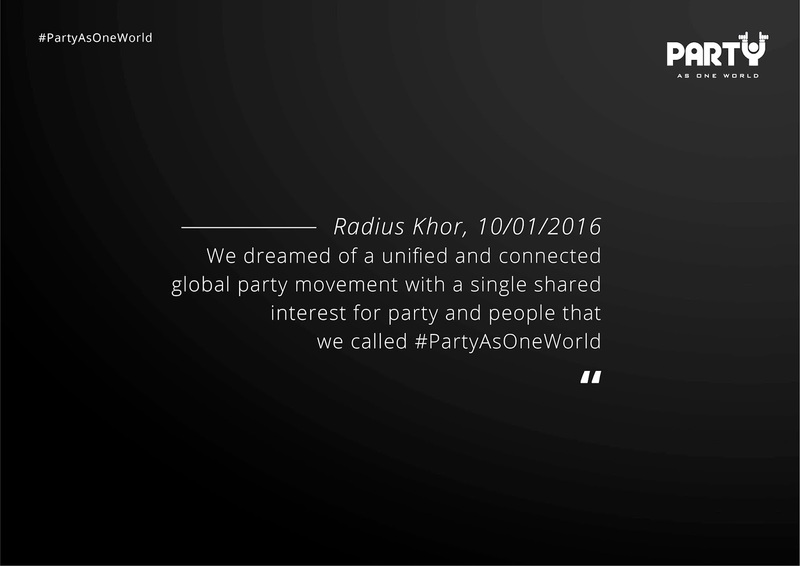 Party As One World was founded in 2016 when passionate raver Radius Khor and his peers who travel around the world participating in music festivals decided that they should do something more than just going on a Ravecation on repeat; thus introducing the birth of Party As One World, a community formed based on the love for both music and people. "As a regular music festival goer myself, I figured sometimes people attend music festivals alone, or they have little clue about everything that's happening there; hence that is how I got the idea to form Party As One World," said Radius. "The initiative is aimed to reach out and bring these people together, to make them feel like they belong to something bigger than just themselves. 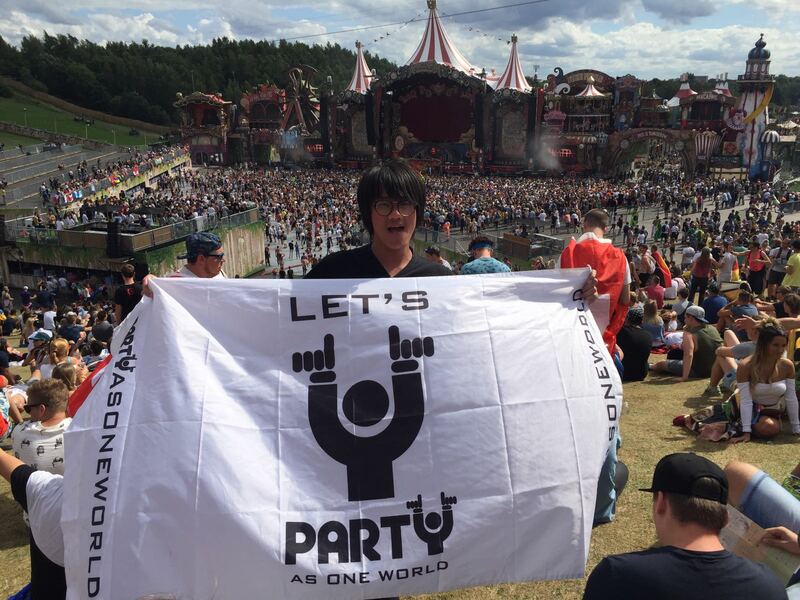 Party As One World plays a role in bringing people headed to music festivals together as one united party body regardless of race, nationality, or religion." "The moment when you see strangers come together as one to have a good time because of the movement that you started is a sight beyond amazing to see; it's beautiful." "We dreamed of a unified and connected global party movement with a single shared interest for party and people that we called #PartyAsOneWorld"
If you're still intrigued about the movement, simply put Party As One World's core objective is to cluster all the "rave cliques" at music festivals into one united party space that can be shared on a global scale. 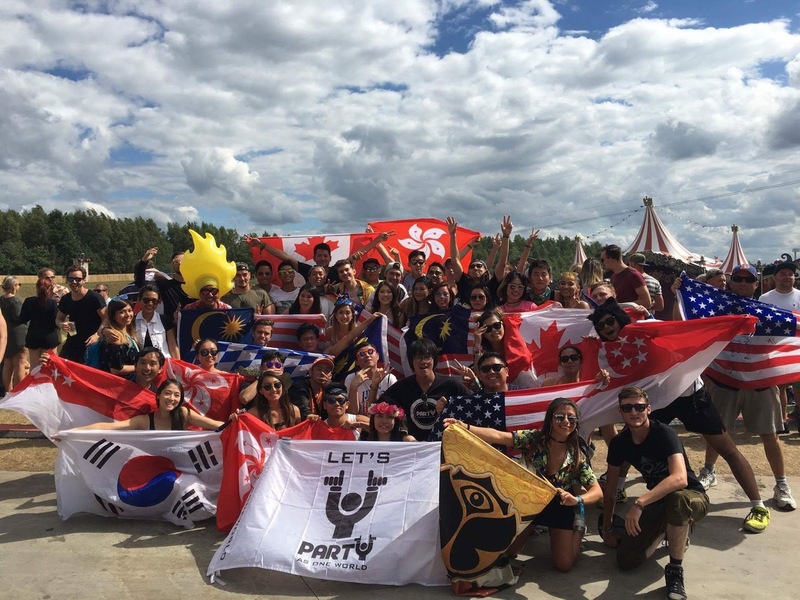 Party As One World aims to be a global movement where everyone who shares the same interest in music and partying can feel a sense of belonging. 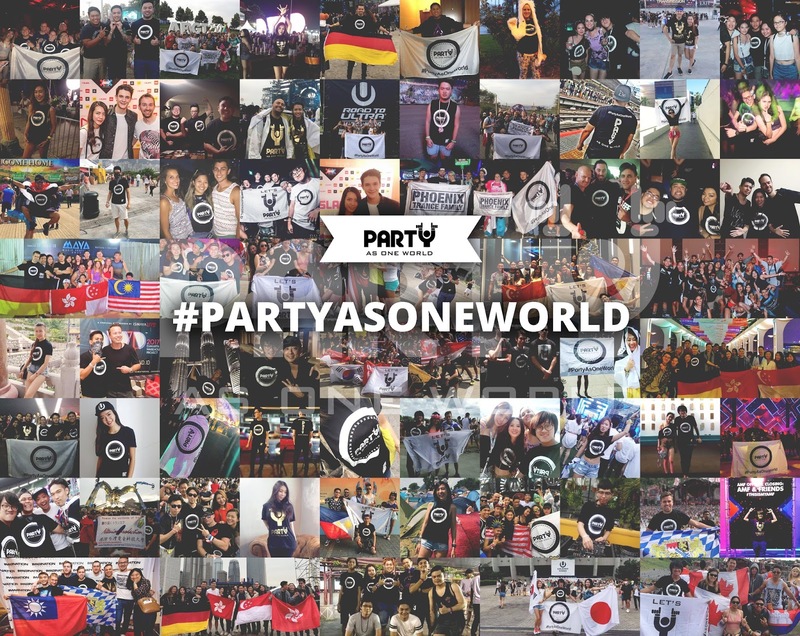 You can check Party As One World on Facebook here, or follow them on Instagram at @PartyAsOneWorld.